M.F.A. University of Pennsylvania/Penn Design. 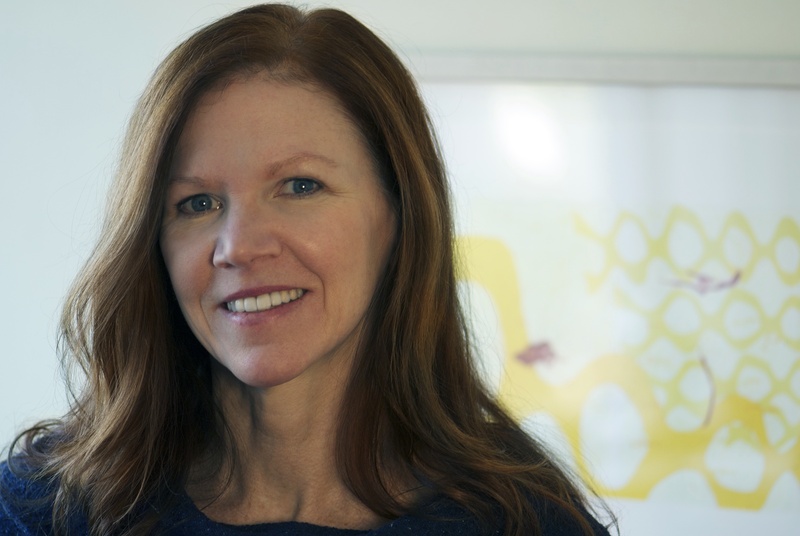 The Simons Center for Geometry and Physics welcomes Lorraine Walsh as Art Program Director and Curator for the Simons Center, and Visiting Associate Professor in the Department of Art. Lorraine has a lifelong passion for creative discovery at the nexus of art and science. Lorraine’s art is inspired by science, nature, and the environment. Her research is located in the rich possibilities of the interplay, shared structure, and aesthetic expression intrinsic in the creative process within the arts and sciences. Lorraine exhibits her work internationally in venues that include the State Museum of Contemporary Art, Thessaloniki, Greece Biennale; The Museum Ludwig, Koln, Germany; and the Jose Marti National Library, Havana, Cuba. Lorraine lectures internationally as well, and is the recipient of numerous awards and grants. Grants received include a National Science Foundation grant for the visualization and animation of the radio sky; an e-MobiLArt Euro grant (European Mobile Lab for Interactive Media Artists Collaborative Project) tailored for the collaborative creation of new media interactive installation art; and an Andrew W. Mellon Foundation Fellowship Award. Additionally, her writing has been published in journals including Leonardo, the journal of the International Society for the Arts, Sciences and Technology, MIT Press. As an art director, curator, and exhibition designer, Lorraine has created and directed exhibits for varied international venues. These include The Museum Ludwig, Koln, Germany; The Petrosains Discovery Centre & Science Museum, Kuala Lumpur, Malaysia; The Smithsonian Institution, Washington, DC; and the National Geographic Society. More recent museum projects include art direction of an interactive astronomy kiosk for Pisgah Astronomical Research Institute (PARI) on permanent display at North Carolina’s Museum of Natural Sciences in Raleigh. Lorraine’s academic appointments include Chair and Associate Professor of New Media at the University of North Carolina Asheville, where she created the pedagogy, mission and curriculum for an inaugural New Media department. Previously, she taught at Pratt Institute, N.Y., in the Digital Design and Interactive Media Department. Other academic appointments and guest artist/lecturer presentations include Drew University, Lafayette College, Rutgers University, Vassar College, Wellesley College, Western Carolina University, University of Athens Greece, University of Lapland Finland, and the University of Applied Arts Vienna. Lorraine received her M.F.A from the University of Pennsylvania/Penn Design and her B.F.A from Parsons The New School for Design.